Was it ever used against the T34? The closes I could find was that some were shipped to South Korea during the Korean War and came out second best. No explanation was given. I cannot imagine too many times when they would have come up against each other. I have also seen a photo (taken by by late father in law) of Australian troops in Japan loading a 17pdr for shipping to Korea. Having said that, at one stage Australia was using British BAT recoilless guns, but put the 6pdr back into service to replace the BAT, and it stayed in service until around 1960. In the possible theatres of operation of Australian forces at the time it was probably considered that the chances of meeting a tank in the rainforests of SE Asia that a 6pdr could not deal with were slim. Of course Israel used the 6pdr / 57mm and there is a fair chance that they were used against Soviet built tanks. Edited by DougRichards, 09 February 2019 - 2310 PM. The 6pdr was build and widely used by the US as the 57mm M1. I'd be surprised if the SK Army hadn't been given 57mm guns the US Army no longer wanted. A couple of sites mention ROK 57mm guns. I wonder if they fared poorly against the T-34 not because of the guns themselves, but the likelihood that they only received basic US ammunition: max penetration 73mm at 1000yds at 20 degrees. British APCBC managed 88mm 1000yds at 30 degrees. Lets not mention APDS in this context. Also wonder about the storage of ammunition, and deterioration of propellant, as it is likely that stocks provided to ROK would have produced in 1943 / 1944. Edited by DougRichards, 10 February 2019 - 2217 PM. "ROK used the US 57mm ATG but without APDS it wouldn’t have done much against the T34’s at battle ranges. The ammo would have been stored under normal conditions and wouldn’t have been an issue. APDS would not have been common over there. The US forces scrounged what they could from the British when they were in Europe, but I’d hazard a guess that none of it was ever sent to Korea." I am not too sure that the 57mm / 6pdr would not have been effective against the T-34. 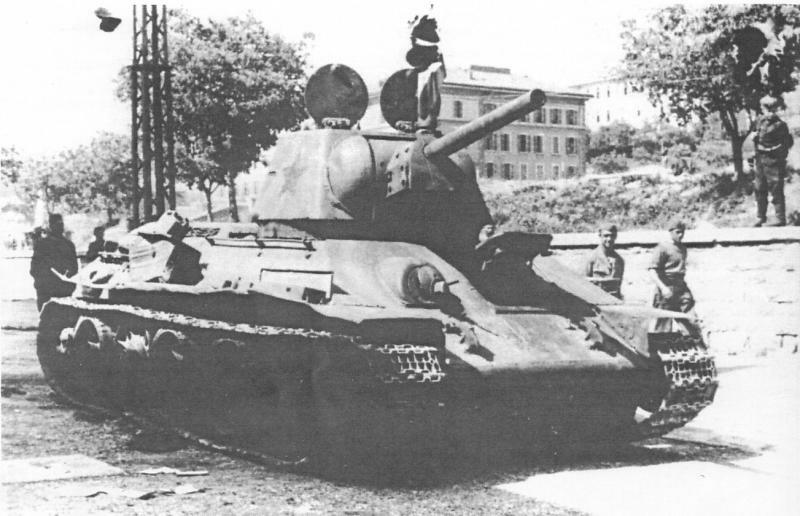 The T-34, whilst well armoured, was no uber-tank in 1951. Early British 6pdrs with basic ammunition were considered at least viable against the more heavily armoured Tiger. Training and doctrine would also have been important. Whilst the ROK was provided with 57mm ATG, there would have been few, very few, Koreans with experience fighting tanks and very few of the hard learned lessons of 1939-1945 for the British and 1942-1945 for the US Army would have been passed on to the army of the ROK. If and where the USMC may have been involved, as they obviously were in Korea, there would have been little corporate knowledge of fighting against tanks. Yes, the USMC had experience against Japanese tanks on the islands of the Pacific, but nothing resembling the tactics used by the north in the Korean war, so that the Marines, who I am sure were fast learners and adapters, would still have not been in a position to assist in doctrine and deployment of 57mm guns. The irony is that the Australian army in Korea was largely composed of British serviceman who had accepted a form of military immigration: When Australia could not come up with enough troops for Korea it recruited from trained WW2 personnel from Britain, at least some of whom would have had experience in the effective use of the 6pdr. But by the time those troops arrived in Australia, and had their training and physical condition worked on, then the Korean war had bogged down into something more akin to the western front in 1917. Edited by DougRichards, 11 February 2019 - 2105 PM. The Canadians first came to Korea with towed 17 pdrs in the infantry battalions and SP ones at brigade level. They traded the towed guns for 75mm RCL and the SP for Shermans. Mind you by then, the NK tanks had been neutralized. The brigade sent to Europe kept the infantry 17 pdrs until replaced by 106 mm RCL and had Cents from the beginning. From this ex-sailor's perspective, wasn't the towed 17 pdr a little too big to be at the battalion level? What was the towing vehicle? Crusader Gun Tractor was ideal for power and ammo capacity. But it was probably also 3 tonners and the like depending. I don't think the Oxford Carriers had really been adopted. Probably one of the CMP trucks. The M37 3/4 and M135 2 1/2 ton trucks showed up in the mid fifties. 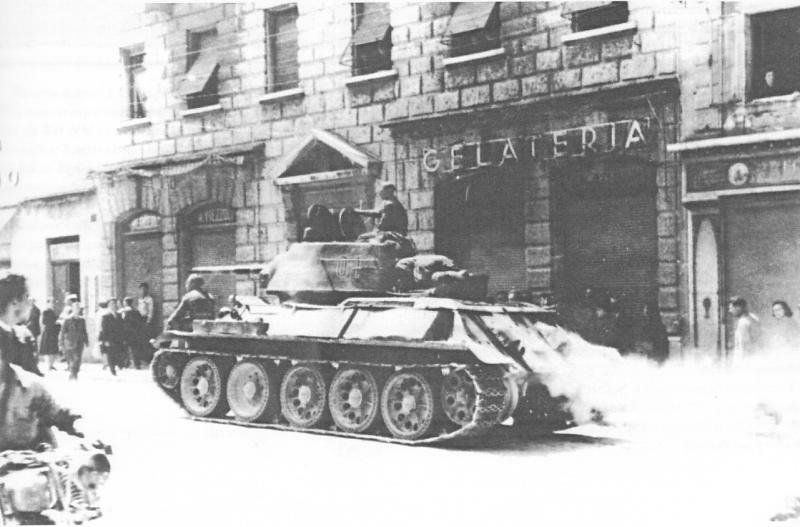 By then, the 17 pdr had been replaced by 106s on Jeeps. OK, you've tempted me back. Back in 1980 I was visiting Duxford with a friend and his dad who had served in the Korean War era. He said they'd had Stuarts to tow 17 pounders in the early to mid 1950s, We were looking at one such vehicle in the museum. Some pics of post war British usage c/o Buster Reed on MLU. Note that some had their fighting compartment roofs removed. What is not clear to me is whether these were vehicles kept by the UK after WW2 or supplied in the early 50s. Am I reading correctly that a British infantry battalion had Stuart tank hulls to move the 6? 17 lbers in said battalion? Do not know the country but lack of training is palpable and painful. 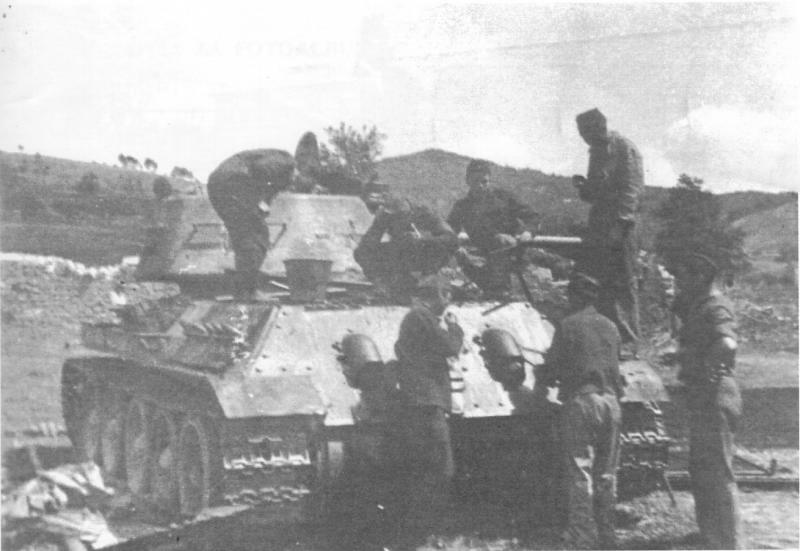 6pdr vs T-34 engagement happened at the outskirts of Trieste, with Yugoslav 1st Armored Brigade AEC Mk II (6prd armed) dispatching two T-34s (one was later salvaged) that Germans tried to lead counterattack with. I've never studied the situation in Yugoslavia during World War II in depth. I understand it was very chaotic with many local forces fighting in support of both the Germans and the Allies. Can you clear up a few things? What forces in your post were using the 57 mm anti-tank gun in the action sited by you. Was it a British / US 6 pdr/57 mm anti-tank gun or a Soviet 57mm anti-tank gun? If I remember correctly the Soviet gun used a bigger case for its round and was much more effective against armor. Edited by 17thfabn, 15 February 2019 - 1837 PM.